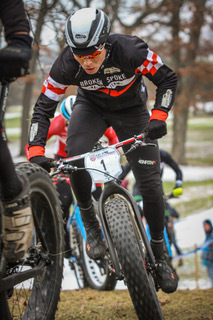 It was a nail biting finish in this past weekends’ USA Fat Bike National Championship with Cole House barely pipping Clement’s Jamie Driscoll on the line! FSA sponsored rider, Cole House, who raced for Cashcall Moartgage put in what must be one of the best performances of his life to take home the title. Jamie Driscoll, who races for the professional FSA sponsored CX team of Clement Pro Cycling, put up a great fight, but came up short in the end. You can view full results of the race HERE on USACycling.org. Cole House rides FSA Bars, Stem, Seatpost, Cranks, and Brakes.